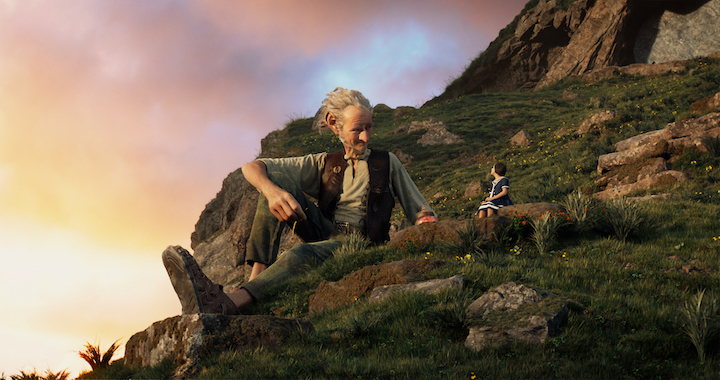 Disney’s THE BFG is the imaginative story of a young girl named Sophie (Ruby Barnhill) and the Big Friendly Giant (Oscar (TM) winner Mark Rylance) who introduces her to the wonders and perils of Giant Country Directed by Steven Spielberg, the film is based on the beloved book by Roald Dahl. Based on the book written by Roald Dahl, The BFG movie opens in the theaters today. It’s the story of a girl named Sophie and a giant that Sophie names The Big Friendly Giant (BFG). The story is about the friendship between the two and my kids really enjoyed it. The dialogue takes some getting used to because the giant misspeaks many words, which is charming and adds to his vulnerability, but on top of the accents of the characters, it makes it a little difficult to understand. To get an idea of what I mean, click here to view the Gobblefunk Glossary. I don’t want to spoil the plot of the movie, but do want to warn you that the giants in Giant Country look scary and talk about eating children. Check out the photo below to gauge if your kids would be frightened. (Left to right) Gizzardgulper, Childchewer, Maidmasher, Bloodbottler, Manhugger, Fleshlumpeater, Meatdripper, Butcher Boy, and Bonecruncher surround the BFG in Disney’s THE BFG, the imaginative story of a young girl named Sophie (Ruby Barnhill) and the Big Friendly Giant (Oscar (R) winner Mark Rylance) who introduces her to the wonders and perils of Giant Country. Directed by Steven Spielberg based on Roald Dahl’s beloved classic, the film opens in theaters nationwide on July 1. 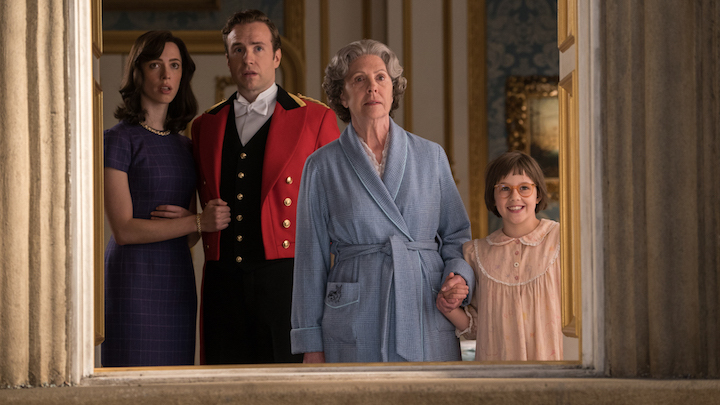 I was not privy to the cast other than the giant and Sophie, so I was surprised to see Penelope Wilton from Downton Abbey as the Queen of England! Disney’s THE BFG is the imaginative story of a young girl named Sophie (Ruby Barnhill) and the Big Friendly Giant (Oscar (TM) winner Mark Rylance) who introduces her to the wonders and perils of Giant Country Penelope Wilton is the Queen, Rebecca Hall is Mary and Rafe Spall is Mr. Tibbs. Directed by Steven Spielberg, the film is based on the beloved book by Roald Dahl. Steven Spielberg did a wonderful job creating an imaginative world and my kids commented that they like the lessons from the movie, such as being kind to everyone and being loyal to friends. Both Sophie and BFG were sweet characters and we enjoyed watching their friendship and adventure. 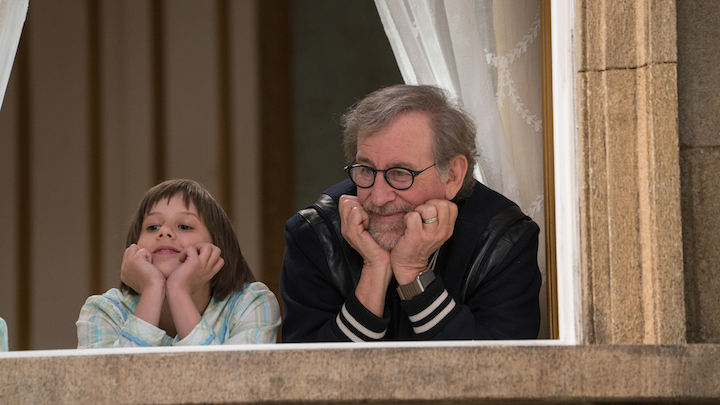 Director Steven Spielberg and Ruby Barnhill on the set of Disney’s THE BFG, based on the best-sellling book by Roald Dahl. Be the first to comment on "The BFG Movie Review for Parents"